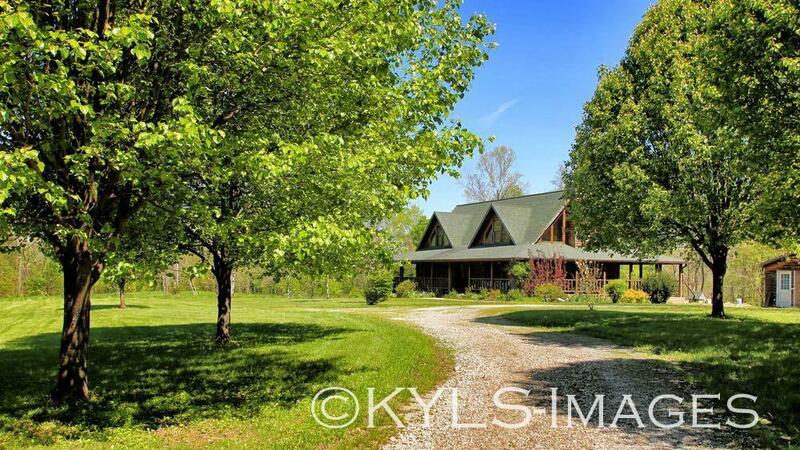 Artist Retreat, Log Cabin style home 46 acres, stream, Prepper property for sale in Danville, Kentucky. call or text Ken 859-494-5521 for more info Bluegrass Team for more info 859-379-5263 #SustainableFarm #Preppers #prepperparadise #BugOut #preppers #survival #survivalist #apocalyptic #preppertalk #preparedness #ftsn #nwo #preparation #shtf #farm #houseforsale #metalbuilding #survivalist #barter #ArtistRetreat. You might want to get you in our Exclusive Mailing List, so we can send you your PERFECT homes and land – and farms the second they are for sale (not when they hit the MLS). go to “Your Perfect Property” at https://bluegrassteam.com/homefinder/ – it only takes a few seconds to fill out your needs and wants and we will start sending you properties that meet YOUR criteria. You’ll be 1st to know about properties – It’s like a sneak peek – before they hit the market – sent right to your inbox.